Kids are back to school today after a fortnight off for the "tattie holidays" Suffice to say no tatties were picked. I should be totally back on plan and up to speed with my meal planning but alas that is not the case. We've had a really good but busy half term including a yet to be blogged visit to The Three Chimneys, a #HighlandFoodieRoadTrip - blogged HERE and a weekend Over the Sea to Skye - blogged HERE. 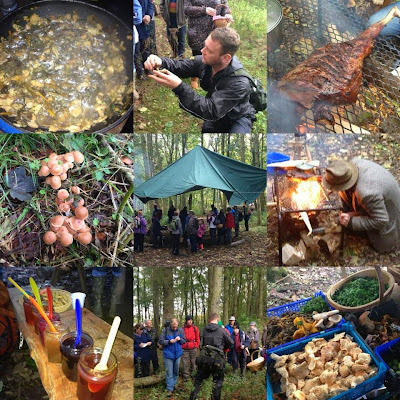 The weekend just past saw my first ever official "Foodie Quine Presents" events. 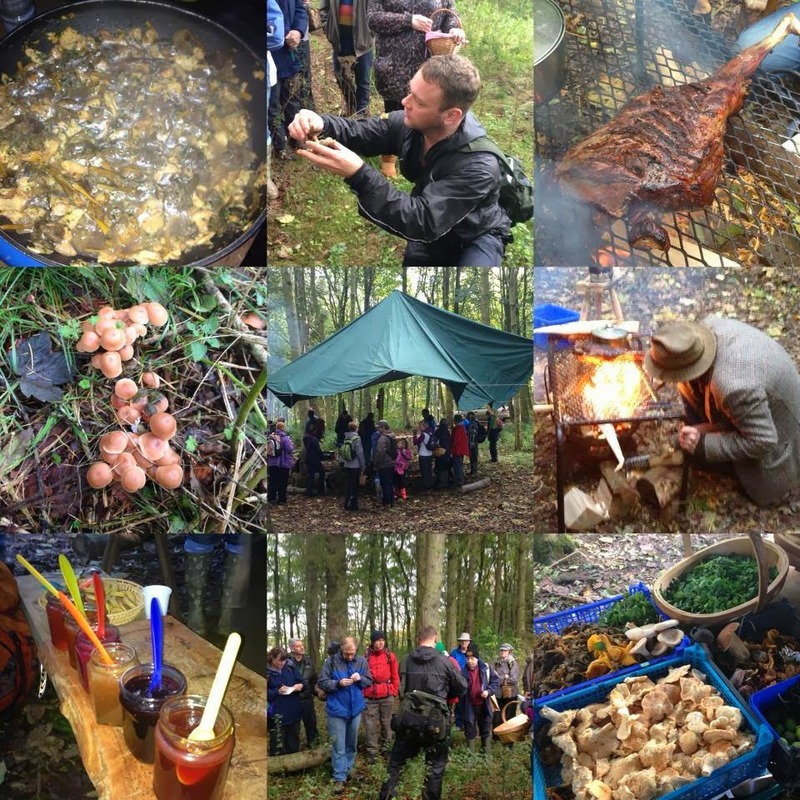 40 people joined myself and Mark Williams foraging and eating wild food in Dunnottar Woods. Bloggage to come and definitely more similar events. Mark gave me a basket of mixed mushrooms predominantly hedgehog and winter chanterelle so will be cooking these up tonight. There will be lots of pumpkin carving going on this week in preparation for Halloween so the insides will be being utilised in many shapes and forms. I'm thinking soup, roasted with pasta and stuffed in ravioli. In addition to this I'm heading along to Cajan Cookbook Launch on Thursday at Hammerton Store. Sounds like a great event. Might see you there? 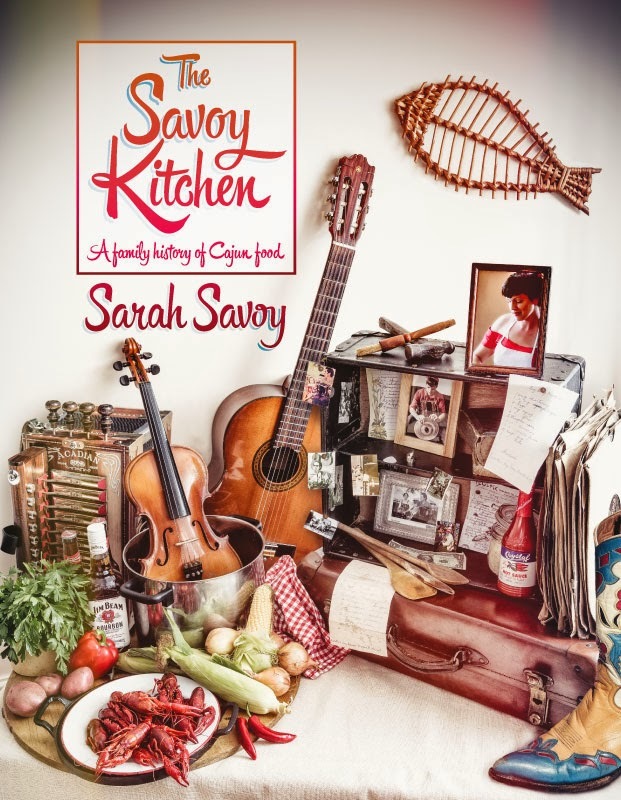 Musician, chef and self-proclaimed Queen of white trash Cajun, Sarah Savoy will be in residence at Hammerton Store to promote her new cookbook The Savoy Kitchen - A Family History of Cajun Food. 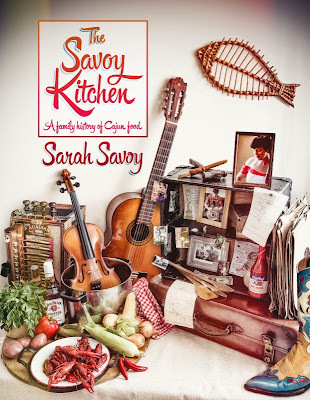 She'll be cooking up a chicken and sausage gumbo, telling tales of life in the bayou, playing some Cajun tunes and signing copies of her book so please come down and say hello! She'll be instore from 12 to 3pm. The event is supported by Eden Brewery St Andrews Beer so there'll also be plenty of their very fine 19th Pump pale ale to sample. As well as Halloween, Thursday night is the first of a block of Christmas Cookery Classes that I've signed up to attend run via our local community centre. This week we're going to be getting ahead of the game with our Christmas planning by making mincemeat and sausagemeat stuffing. On Friday I'm using a voucher that I received last Christmas to attend a Nick Nairn Cookschool Quick Cook class where I'll be making a taste of Spain - Saffron Chicken & Chorizo. Saturday we're off again for a night in St Andrews staying at The Old Course Hotel and dining in their Sands Grill. Busy, Busy, Busy. 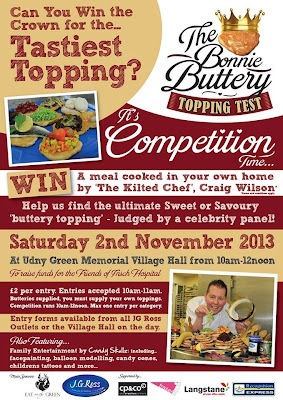 Disappointed to be missing what sounds like a great event being run by Kilted Chef Craig Wilson from Eat on the Green in conjunction with JG Ross Bakers. 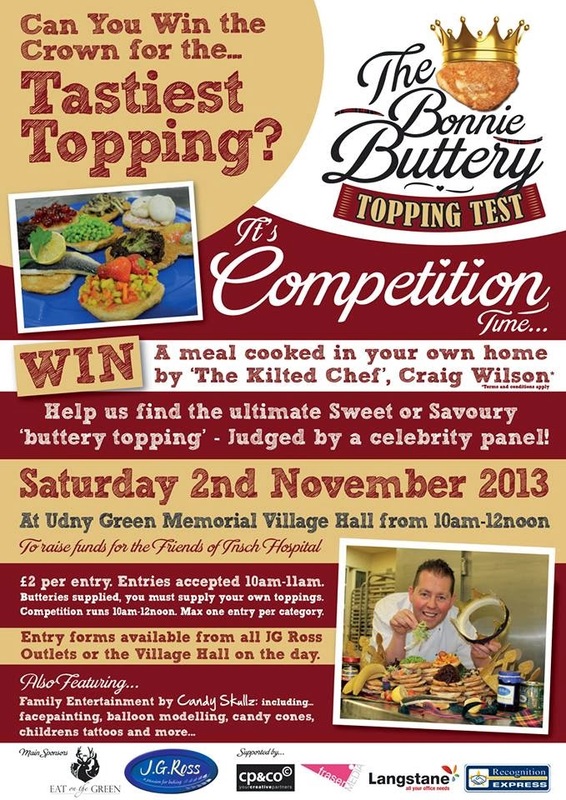 I like golden syrup on my buttery so it will be interesting to find out what topping takes the crown. 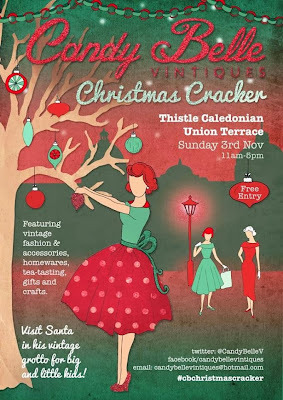 Hope to squeeze in a sneaky visit to the Candy Belle Vintage Fair on Sunday when we return. 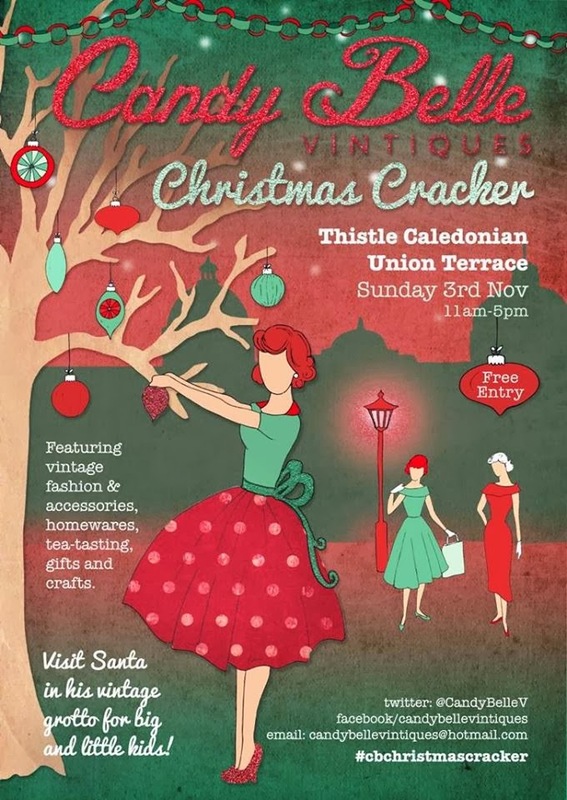 I do like a wee bit of Vintage Kitchenalia and this is one of my favourite events. Check out some of my existing vintage collection here. So that's it for this week. Lots happening but not much meal planning going on. Promise to be back on it next week when I can hardly believe it will be November. 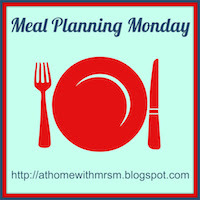 Head on over to Mrs M's place to catch up on the Meal Planning Monday antics of bloggers more organised than me. Meal Planning Monday. What's for tea Mum? Pinnies and Petticoats is One. Party Time.